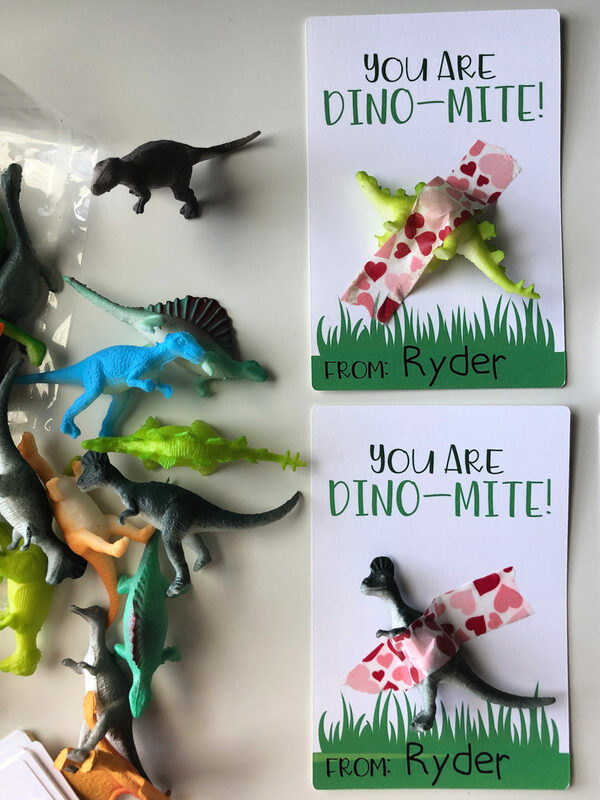 Make these “You Are Dino-Mite” Printable DIY Valentines using the Cricut Maker for your dinosaur obsessed child this Valentine’s Day! Eeek! Valentine’s is only a few weeks away. I’m actually pretty proud of myself for getting ALL of my son’s Valentine’s done a few weeks prior to Valentine’s Day. I feel like for once I might just have it together (however, my daughters Birthday is before Valentine’s Day and I barely have anything done)! My son is currently dinosaur obsessed. 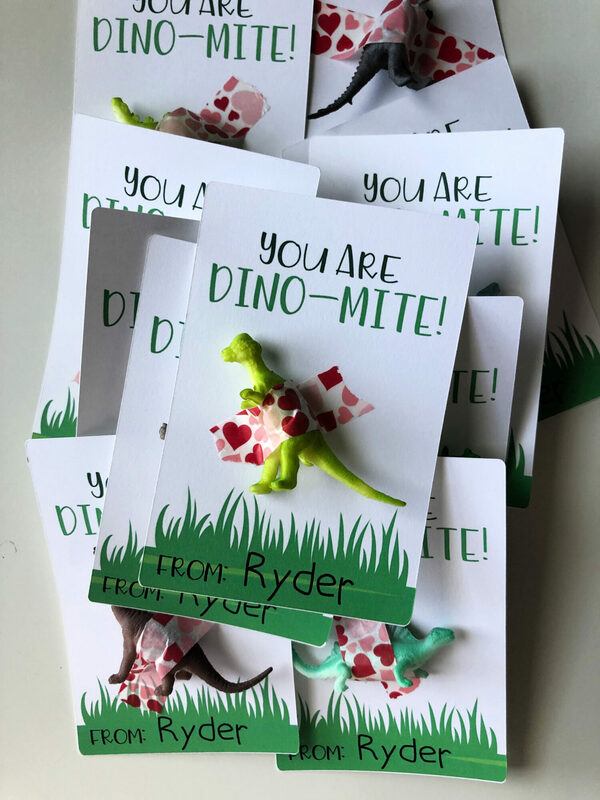 I knew I would need to make him a Dino-inspired Valentine to pass out to his classmates. 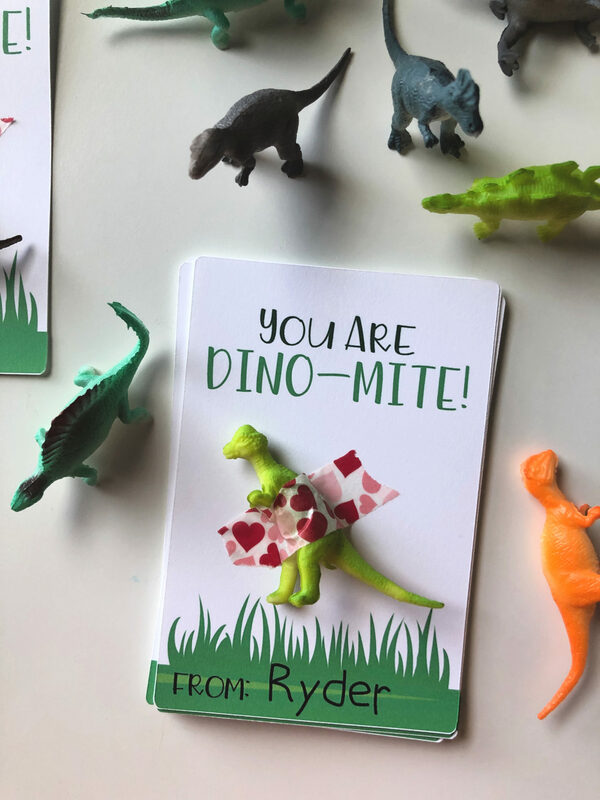 I didn’t tell him about these Valentine’s and he saw them as I was making them (and begged for a ton of the extra mini dinosaurs). I’m so happy with how these turned out. Bet of all I made 28 Valentine’s (for his class and for his tennis mates) in about an hours time. I did the print-then-cut feature using my Cricut Maker. I’ll be honest, it took me a little bit to figure out how exactly to do it. Remember, the majority of my projects (and medium of choice) is/are Iron-On Vinyl. But, I’ve decided to branch out this year. All 28 only cost me $10 because I had all the paper, ink, and washi tape on hand. I spent the $10 on buying the bag of dinosaurs. 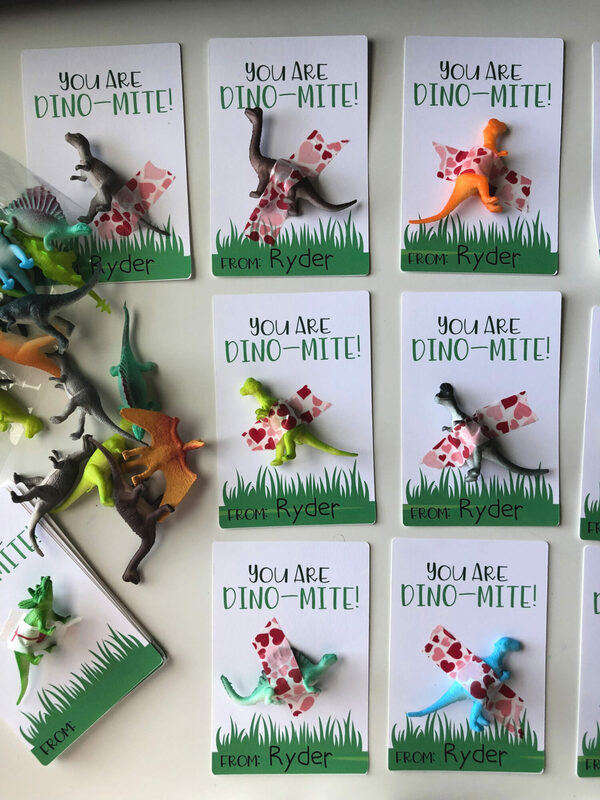 I have so many leftover I should be able to have enough to make his dinosaur cupcakes for his birthday! 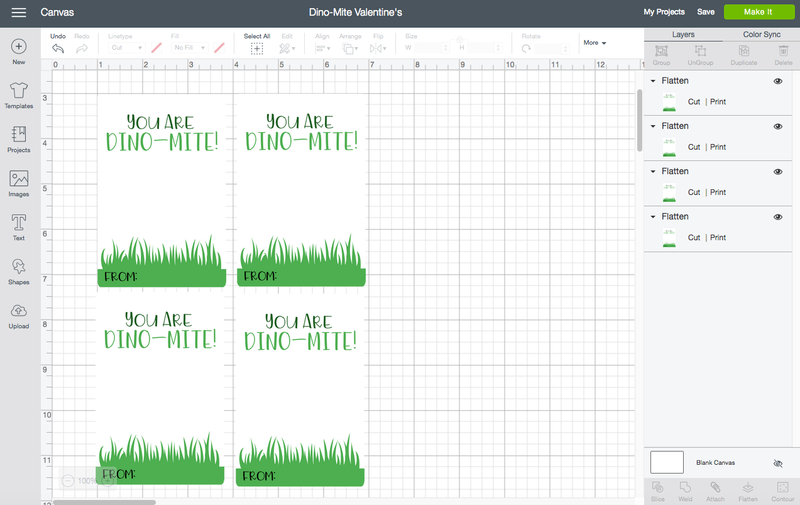 First, you’ll pull up the “You Are Dino-Mite!” Valentine Cut-File in Cricut Design Space. You’ll notice the “from” portion is blank. 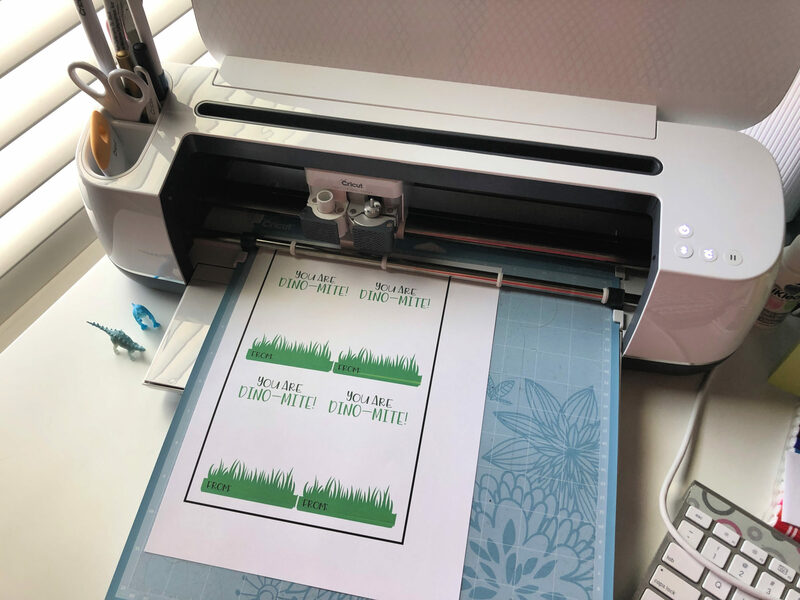 Simply type your child’s name in that field then select the text plus the Valentine Card and hit “flatten” this will then add the name on to your Valentine for the “print-then-cut” feature. Next, go to print then cut your project. 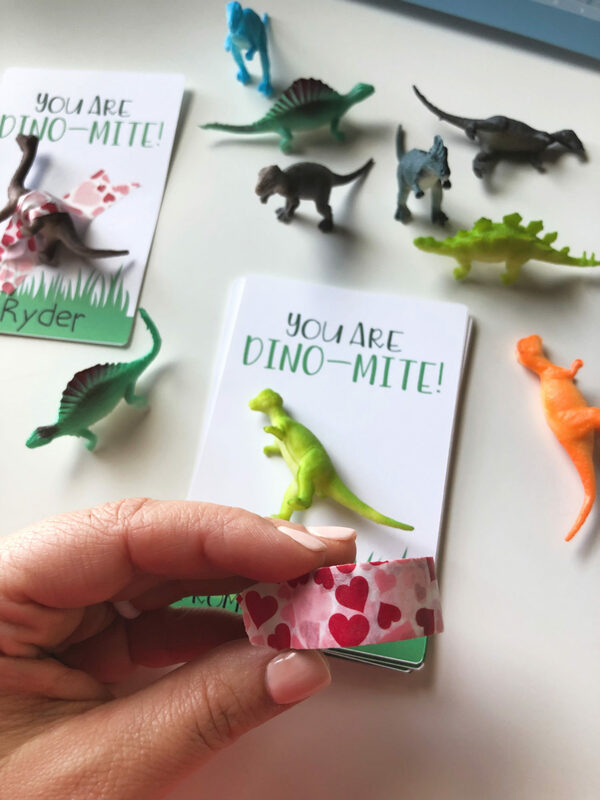 Print your Valentine’s on a piece of card stock then place it onto a mat. 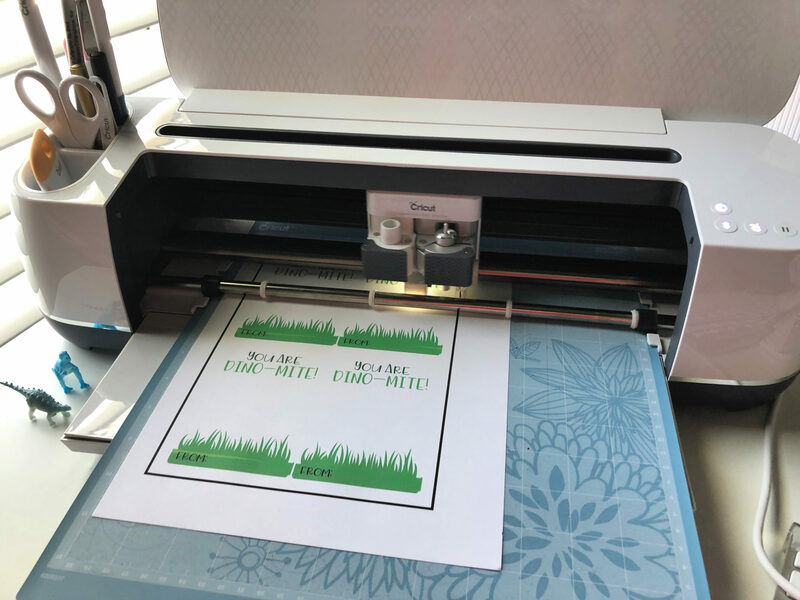 Load the project into your Cricut Maker. Follow the prompts on the screen. The Cricut Maker will then start to read the black lines on your paper. This will ensure it knows exactly where it should cut! Once the cards are cut, remove the excess, then carefully remove the Valentine cards. You can make four to a page which is a nice time saver. Repeat until you have all the cards you need! Next, grab your favorite washi tape. I had this heart washi tape so I decided it would add the little bit of Valentine’s flare this card needed. But you can use whatever color or pattern you want! 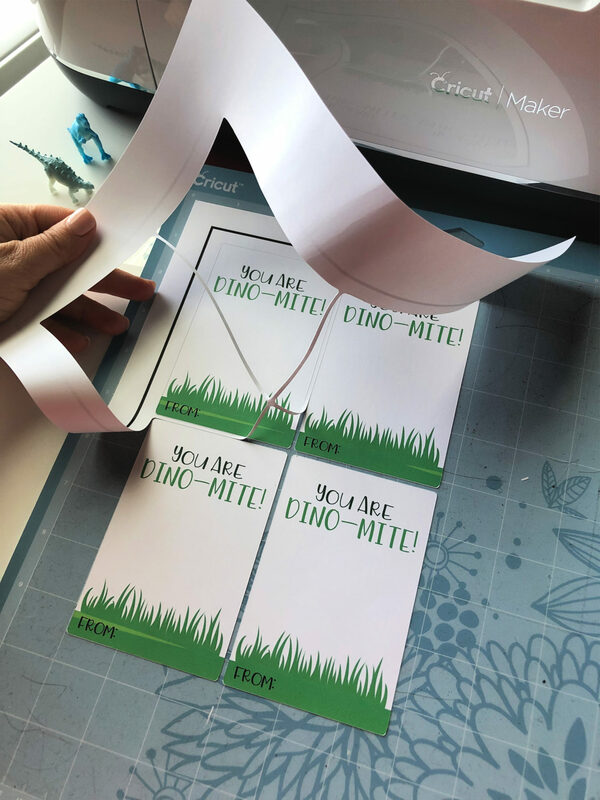 Place a small 2-inch piece of washi tape over the dinosaur and secure to the card. The nice thing about washi tape is that you can remove it from the card stock without it ruining the paper. Now, repeat until you have all your Valentine’s done! I’m in love with how these turned out! Super simple and inexpensive. Love when I can make my own and tell others “hey, I made this”! 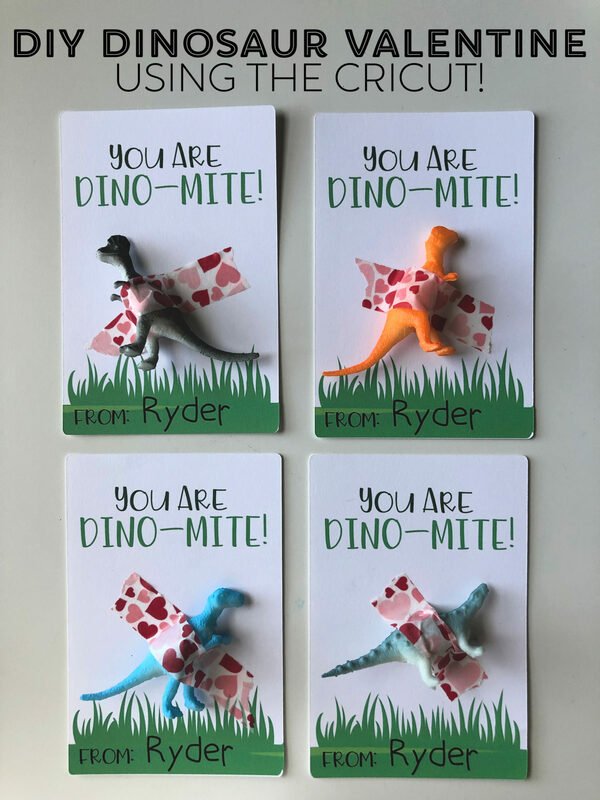 I think Ryder will love telling his friends that I made these too! Next up, making his Valentine’s Day mailbox. Stay-tuned! I have a fun Dino/Monster inspired box I’ve started dreaming up in mind that I plan to share. Disclosure: There are affiliate links in this post. That means if you click on a link and make a purchase–we will receive a small percentage of the sale at no additional cost to you.